Daily Five -- or as I like to call it -- THE BIG FIVE!! The "Big Five" is such a huge part of our classroom. We do it during our "Workshop Time" where the kids are working on things they need to do while I pull my groups. I have always reserved this time for my last hour or so of our time together. Since so much of our time is dedicated to Workshop/Big Five, I have to know that it is going to good use and that the students and I are getting all we can out of it each day. I am such a big fan of color coding (my first class is Blue and my second is Green) so I have color coded the 5 parts of the daily five. All the labels on the door are colored accordingly. Even though we may not get 5 rotations done during our Workshop/Big Five time doesn't mean we aren't hitting all 5 of these each day. 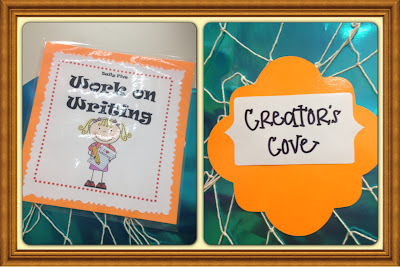 Everyday my students are writing, reading, and working with words before we even get to the part of our day where we are doing Workshop/Big Five! 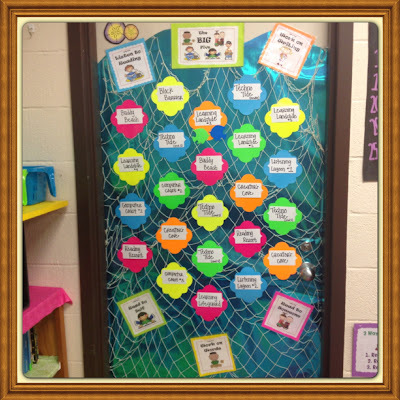 Here is a look at how the students and I know where they are suppose to be. There are 22 "choices" (at the beginning I rotate them through, but as the year progresses and they have the procedures down and are doing exactly what is expected, we move to them choosing) because then I can decided just how many students are reading to self, reading to someone and so on. 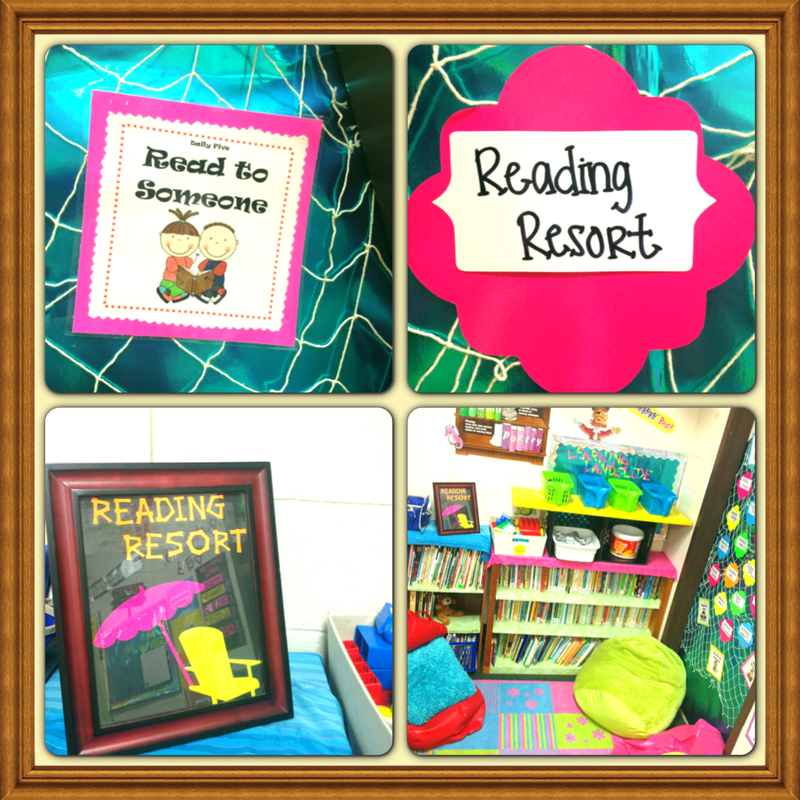 This is the Reading Resort, basically our classroom library, and where students "Read to Someone". 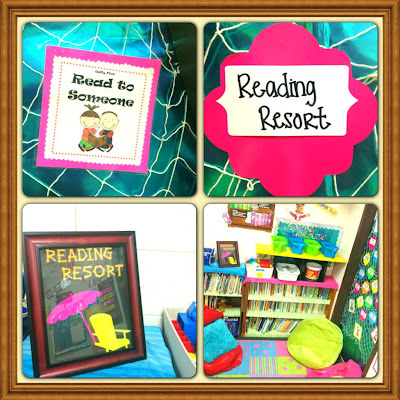 There are 2 spots for this area on our Big Five Door at the beginning of the year, so there will be 2 people at this station reading together. By the end of the year I will have 4 spots open in our resort. The Buddy Beach is also where students "Read to Someone". There are 2 spots for this right now on our Big Five Door. 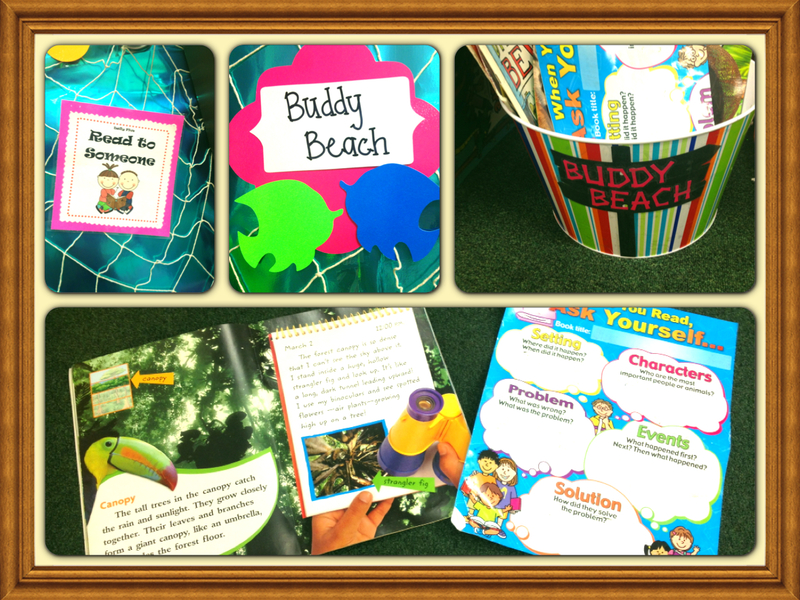 2 students choose a big book, read it together and then fill our the story map afterwards. When done they erase the story map, choose a new big book and start over! 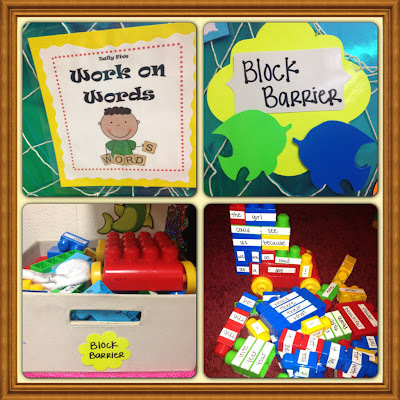 The Block Barrier is where one student takes the tub of blocks back to their seat and create sentences using the blocks. I saw this on Pinterest and loved it! The kids loved it too. 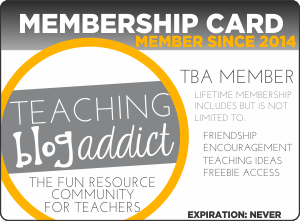 I will have to make new labels because they were torn up from so much use by the end of the year. The Listening Lagoon belongs to the "Listening to Reading" part of the daily five. Right now there are 2 spots for this on our Big Five Door. 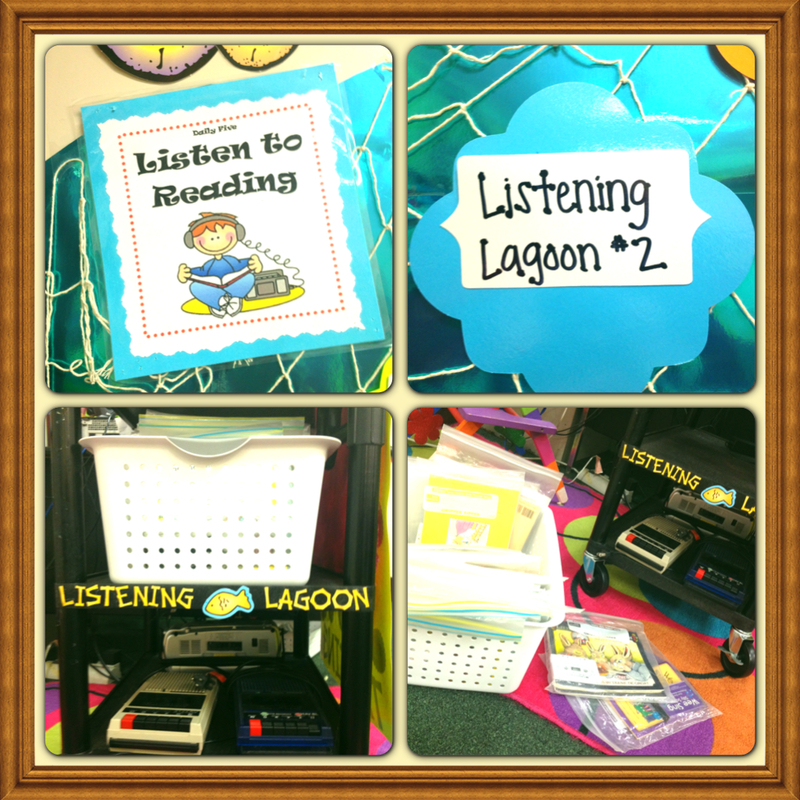 I number the two tape players so if their name is on Listening Lagoon 1, they would go to the tape player with a 1. The while tub holds all the books on tape for them to choose from. Before they start listening to another book, they have the option to go take an AR test on their previous book - if everyone who signed up at the beginning of workshop time is done. Our Computer Coast houses 3 computers where 3 students are doing different things. On computer #1 they are "Listening to Reading" to websites like MeeGenius! (a chrome app) or http://www.storylineonline.net/. On computer #2 they are "Reading to Self" on sites like http://www.tumblebooks.com/ This site is really cool because it also offers quizzes after the students read. On computer #3 they are "Working on Words" by typing up their spelling words and then using them in a story. 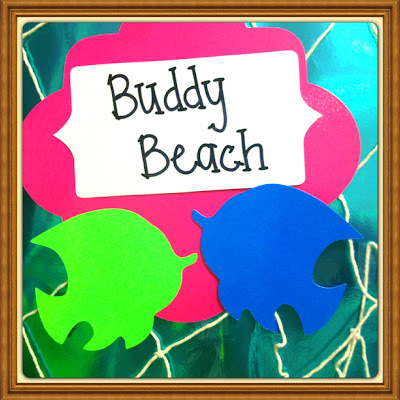 The kids love this because they can use different fonts and colors and make it their own. Here is our most popular area, the Creator's Cove, or writing table. Here three kids come and can create anything. The masterpieces that come out of this area are amazing. Last year I had kids creating elaborate books, graphic novels, greeting cards and much more! They were excited to come and use the different craft pieces and construction paper to bring their imagination to life. 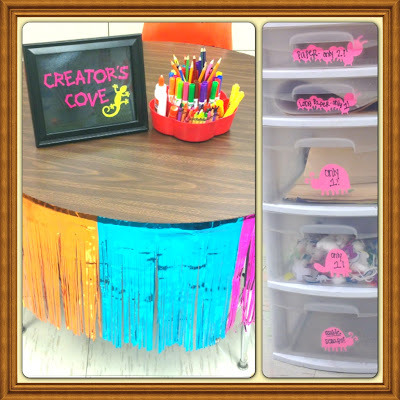 I do limit how many the kids can get of craft pieces, paper and ect... but they know if they ask nicely for more I will always say yes! 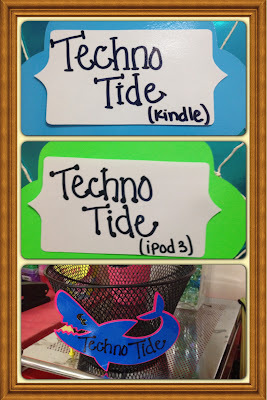 The Techno Tide basket is where our 4 iPod devices and kindle are stored. On each iPod there are different games and activities relating to whatever part of the daily five it is focusing on. The kids LOVE all things techno and I am just so grateful to be have so much technology in my room! The Learning Landslide is an area where different buckets with different activities are kept. The student at that bucket gets their bucket and takes it to their seat to quietly work on. 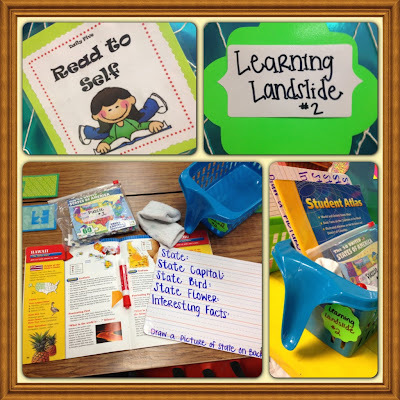 Since there are so many different stations in my classroom I only need 4 buckets, 1 student per bucket, in the Learning Landslide to have 22 spots on our Big Five Door for 22 potential students! My first year I needed like 20 buckets, so I am still in awe about how much technology has flooded into my room the past few years!! The activities in these buckets change frequently. I always put the easier, no directions really needed activities at the beginning of the year. I like to teach the different reading/word study/writing games during my small group time and then cycle them into the buckets as a review. Learning Landslide #1 is where the students "Work on Writing". 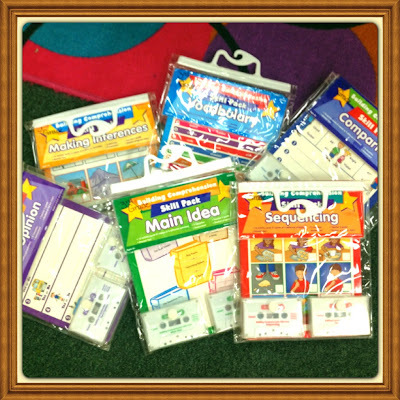 The student can choose from the many different funny prompts and expand the story. 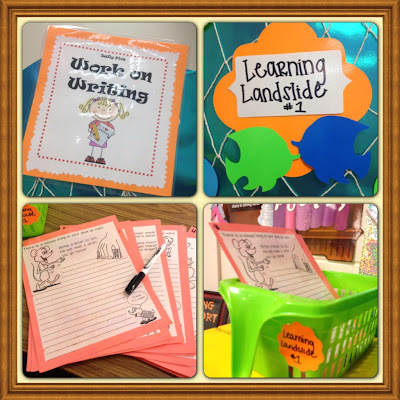 The kids enjoy it the first time, but it is a bucket that is very short lived and last long enough for me to teach and rotate in some of the other writing activities! It is a good easy one to start the year off on though. The second Learning Landslide is apart of the "Read to Self" family and where I creep in some social studies! Here the kids have a fun puzzle they can put together of the states, then they can choose a state to research and fill out the white board. Then they can erase it and choose another state to research. I have several different puzzles (we all know how those help develop good problem solving skills) and other social studies activities to switch in. 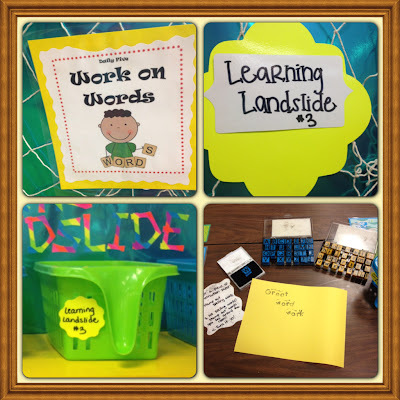 Learning Landslide #3 & #4 are very similar in that they are both "Work on Words" and both involve using the spelling words. 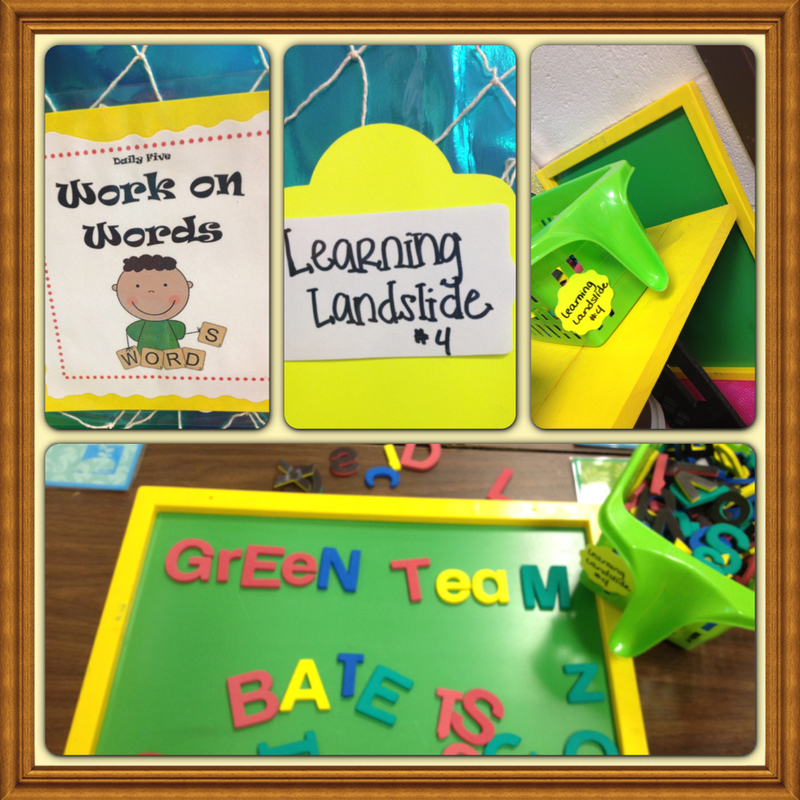 In #3 they are stamping out their spelling words and words from our Word Wall. In #4 they are doing the same thing but instead of stamping, they are using magnets. At the beginning of the year these are simple and to the point. As the year progresses I will drop one of these and replace it with other word study activities. 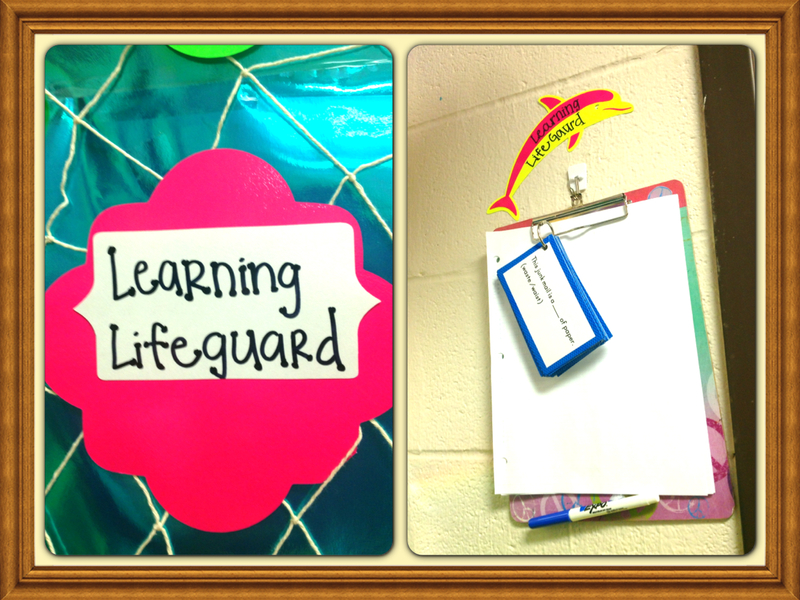 My last Big Five spot, and one that is VERY important is the Learning Lifeguard. Here one student is the lifeguard, or boss, during workshop time. They get the clipboard, walk around and make sure everyone is doing what they are suppose to be doing. 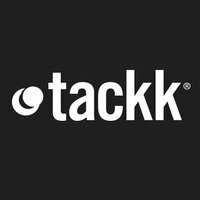 Certain problems that are easily missed by the teacher who is actively working with her small groups are kids drawing on the white boards instead of doing whatever they are suppose to be doing, talking about off task things at the "Read to Someone" areas instead of reading and discussing what they read... ect. 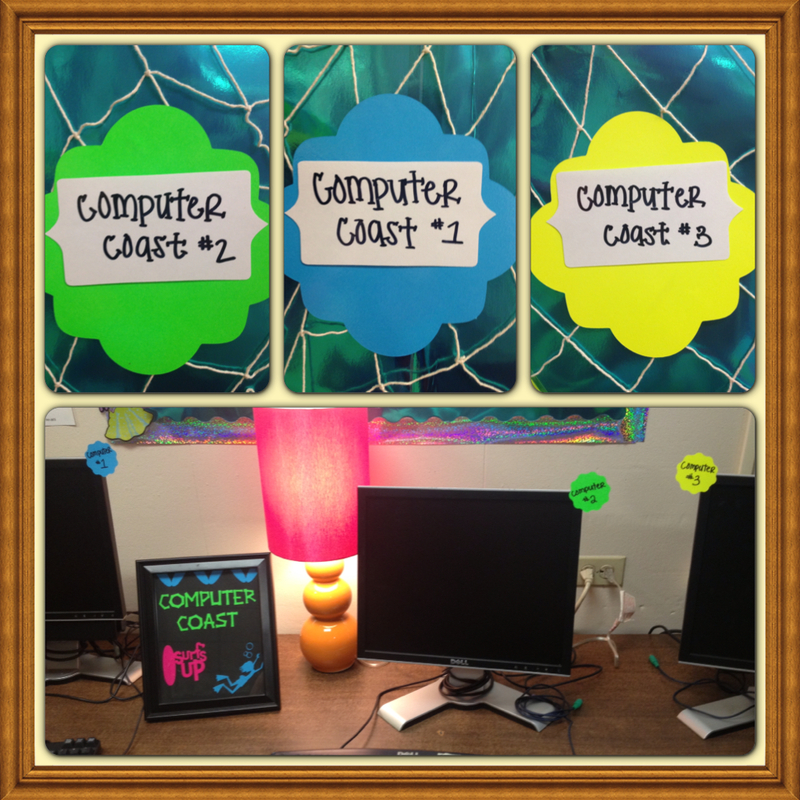 I am trying to start using the Daily 5 in my room. Can you tell me where you got your listening center tape packets? 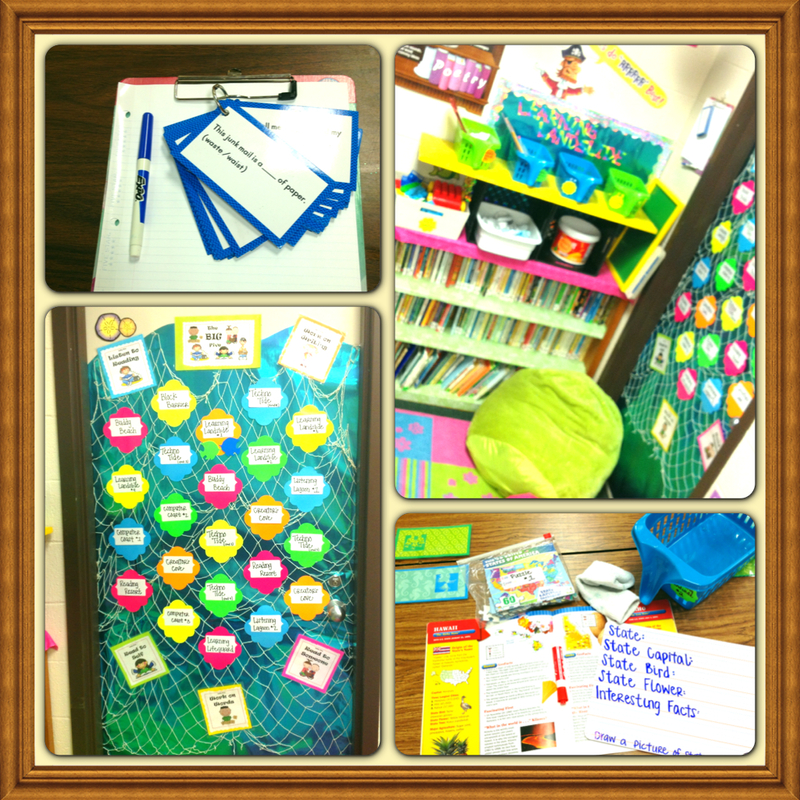 I love the way you have it set up in your room! Thanks! Thanks so much! I actually get my tape packets from my school librarian. Ask yours if she has any in the back, since they are so outdated now a days, she may have some stored somewhere! Thanks for sharing such an informative post. I love your activity names and seeing how they run.